Your van is often your livelihood and there are too many opportunistic thieves out there trying to make money out of ripping off hard working drivers and tradesmen. We have put together a list of top security tips from van drivers, from the most basic to the top end/top spend that can help you secure your van and your tools the best you can for your budget. Before you even buy your van think about security. Do you really need a side-loading door? The more doors you have, the more security you need in place. Don’t be fooled by fancy brochures and sales patter and let security slip down your priority list. Is the factory fit alarm up to the job, will it secure your van? Consider buying a vehicle with better security features, or make a budget allowance for an alarm upgrade. 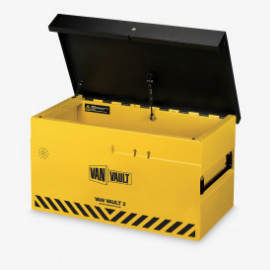 Some vans have a particularly vulnerable lock barrel, some can be picked in seconds using a gadget easily available on Amazon. Do your research. 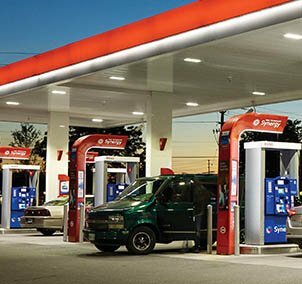 Lock your van: On the petrol forecourt, outside a customers house, popping into a shop whereever you are, don’t allow opportunistic thieves to take advantage. Close your Windows: It might sound obvious but in the everyday hustle and bustle it can be easy to forget, especially in the summer. 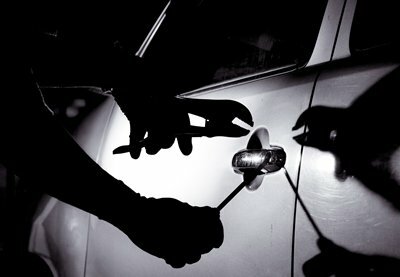 It can take barely any time for thieves to make off with your valuables. Park Well: At night aim to park your van in a well lit area and avoid secluded areas if possible. During the day try to park in busy areas or near CCTV if possible. Mark Tools: with a UV pen. Should the worst happen this is a way to track down stolen tools. Join a register: such as Immobilise or SelectDNA, it can help police identify your property. Replocks: Vulnerable lock barrels can be replaced with replocks, which can’t be picked. Slamlocks: For delivery drivers who don’t have time to lock their vehicle at every stop. Does what it says on the tin. The idea is to stop anyone entering the vehicle when it has been left unattended for a short period. Deadlocks: These operate by throwing a bolt into a receiver fitted to the opposing body section acting like a Chubb lock and have to have the key inserted to unlock the lock. Deadlocks are also a great deterrent to thieves being extremely difficult to pick due to the fact they have no spring mechanism that can be forced open. Lock Guards: A neat stainless steel shield that prevents thieves from forcing a screwdriver through a gap between the door handle and the vehicle body. Thieves have discovered that if certain wires in the rear door loom are shorted, usually whilst cutting, that this actually unlocks the doors giving immediate access into the vehicle. This means not only have you lost the vehicle contents, you cannot lock any doors until the loom is replaced. 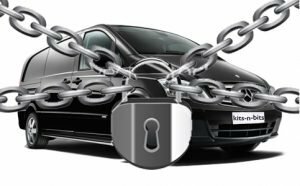 Immobilisers: If you don’t have one fitted as standard, think about fitting a Thatcham approved system, which will stop your engine running unless the correct key is used. Upgrade your Immobiliser: If you have a factory fit immobiliser you can easily upgrade it to a Thatcham Category 2-1 alarm system. Not particularly cheap, but very effective. Motion Sensors: Some alarms have these. They protect a vehicle from theft by detecting when the vehicle is being raised by a tow truck or lifted using a jack, in an attempt to remove the wheels or tow the vehicle. Go Incognito: Don’t advertise the alarm you have fitted with a sticker on your window, as some criminals might be clued-up on how to deactivate certain systems. 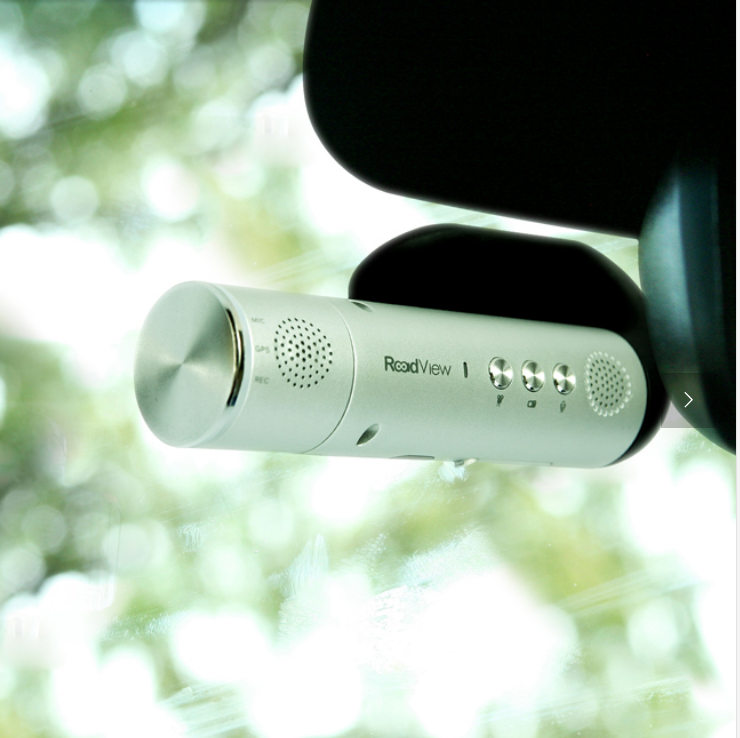 Many dash cams have a parking mode with a motion sensor that will pick up people or objects moving nearby. That means it will detect thieves who want to take items from inside the van, but you’ll need to keep it mounted out of sight. Often if vehicles are stolen they are never recovered. If your van is your income then this can be a massive problem. If your van is fitted with a tracker, police can track it’s location and in some cases it can be remotely immobilised. Security film: Depending on the type of film it will deflect attacks entirely or encase splintered glass between the two film layers, protecting people and property in the event of break-ins and vandalism. The clear safety film is virtually undetectable, creating an invisible barrier against missiles such as bricks and stones. Window Grills: Established visual deterrent to theft of your property from your van. External security: Ladders and copper coils are some of the most common items stolen from the roof of a van. Lockable ladder clamps and lockable pipe-tubes can secure and thief-proof your gear. Rhino offer a number of lockable solutions. Disklok: This fits over the steering wheel, and is locked by the driver in order to immobilise the vehicle. The Disklok comes in a range of sizes for different steering wheels, and it’s recommended by Thatcham Research. Partition the cab area: Fit a partition behind the passenger seats to add extra van security. It’s great for preventing prying eyes seeing the contents of your van. It’s also a good safety measure; if you have to break suddenly it will stop anything you’re carrying being thrown to the front of the van. Van signage: On one hand, advertising your business could act as a beacon to thieves who may think your van contains certain goods. On the other hand, a large display with your contact details on means it’s more recognisable if it’s stolen. Also, the cost and effort of re-spraying a stolen van may actually be a deterrent for thieves. These top van security tips don’t guarantee you won’t get broken into but at least you’ll know you have protected yourself as best you possibly can.